Frederick, MD -- The Tourism Council of Frederick County (TCFC) has announced that it will be accepting applications for a cooperative promotional funding and development grant program called TRIPP, short for Tourism Reinvestment in Promotion and Product. The program has awarded over $1.5 million to local non-profits since its inception. A portion of the revenue from the hotel tax that is directed to TCFC will be available for the promotion of local non-profit attractions and events and for the development of tourism product through non-profit attractions, events, and activities. The Tourism Reinvestment in Promotion and Product (TRIPP) program has been developed to allocate this funding through a competitive application process that will fund advertising and development projects. The TRIPP program has been budgeted at $175,000 for FY16 (July 1, 2015 – June 30, 2016). Frederick County non-profit organizations are encouraged to review information on the website: www.visitfrederick.org/tripp and consider applying for the program. Proposals should be consistent with the TCFC’s goals of increasing the number of visits, the average length-of-stay by visitors, and visitor expenditures in Frederick County. Applications will be evaluated by a five-member selection committee appointed by the TCFC Board of Directors. In FY16, the TRIPP Program will award funding in four categories: Advertising Grant, Development Grant, Group Overnight Incentive Program, and the Unanticipated Opportunity Fund. Interested applicants are encouraged to attend one of two workshops on Tuesday, February 10, 2015, or Thursday, February 19, 2015. Applications are due to TCFC by Tuesday, March 31, 2015, and the announcement of funding awards will be made mid-May 2015. 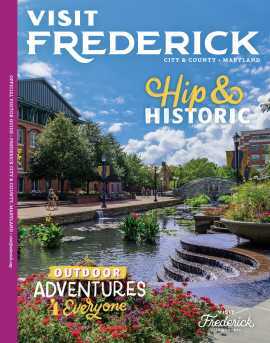 FY16 TRIPP Program information, including forms, applications, and deadlines, can be found online at http://visitfrederick.org/tripp. Questions should be directed to TRIPP Program, Tourism Council of Frederick County, Inc., 151 S. East Street, Frederick, MD, (301) 600-4043, or pensminger@fredco-md.net.